One of the biggest challenges while cooking is determining whether meat is done, and one of the hardest meats to judge is chicken. People are especially sensitive to the question of how to tell if chicken is done because of food poisoning risks. At the same, any good cook will tell you that simply slicing open a piece of meat to check for doneness is a perfect way to end up with dry or rubbery meat. There are several ways to test whether your chicken is done. Let's take a look at a few of them. One of the simplest ways to approach the problem of doneness is to break out the right tool for the job. In this case, you want to use a meat thermometer. It's a specific type of probe that's designed to be pushed into the meat in order to check the temperature. There are two common types of meat thermometers on the market today. There's the single-piece design that has a gauge on one end, and there's also a digital design that has a probe connected to a readout panel. Both work very well, but you'll typically find that the digital models work better because the long cord between the probe and the display makes it easier to reach into an oven to check the meat without pulling your pan the whole way out. When using these types of thermometers to check your meat, you should be mindful of not placing the probe next to the bone. The bones in a chicken transfer heat much more readily, and this can leave you with a false reading on the high side. That means undercooked meat. Insert the probe into the thickest part of the meat, usually the breast. Avoid placing next to the bones as it may leads to the false result. Look for a target temperature, usually between 160 and 165 degrees Fahrenheit. A well-cooked chicken means the meat has been pasteurized. The higher temperature is, the faster meat will be pasteurized. You can learn more about the Minium Pasteurization Times For Selected Meat Temperatures to make sure your chicken is well-done. However, 160 to 165 degreee Fahrenheit is ideal as all the virus can be killed in less than half of a minute. Everything with cooking meat is about getting the right level of juiciness, right? 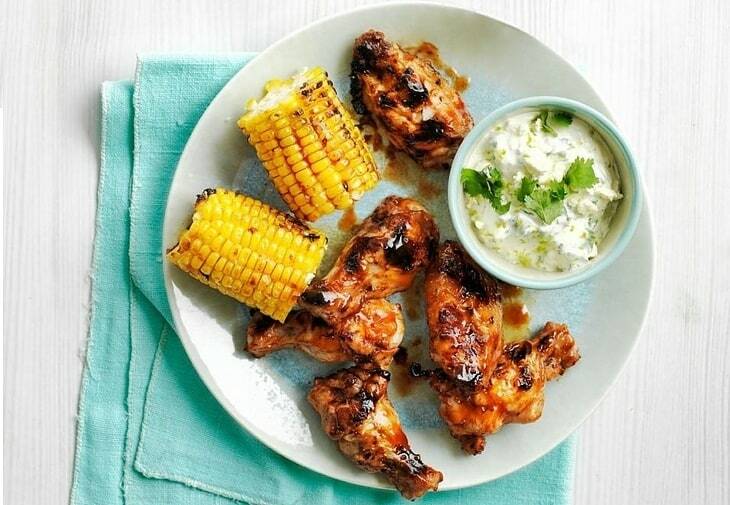 In the case of chicken, you can actually look at the juices to determine whether the meat is properly cooked. The juices are running out appear to be clear, the meat is likely done. The meat are still a bit pink, your chicken is not done yet. In order to obtain the most accurate measure of doneness, you can use a ﻿knife to slice open the area between the skin and the meat. This will release some of the juices for you to check without encouraging the meat to dry out. A right knife​ allow you the perfect slice. Learn more at Best Utility Knife to get a right knife for you. These tricks are so simple. But I have to spend a lot of time to figure out what they are. Meat is a muscle, and that means that as it loses moisture during the cooking process, its fibers will tighten up. By pushing down on the meat, you can see how much it springs back. The question most people have, however, is how to determine an appropriate level of firmness. A good basic reference is to press your middle finger to your thumb while keeping your hand relaxed. This represents the approximate amount of firmness you should expect from a piece of chicken when it is done. Pressing the meat to check for firmness works best with smaller cuts of chicken. It's also a useful technique if there's no skin on the cut, making checking juices difficult. With smaller cuts, you also have to be careful about using a thermometer because it's easy to pierce through the meat and cause it to start drying through two holes. Remember what we said about the muscle contracting during the cooking process? The same logic behind the finger test method also applies to the shrink test method. This is an especially useful technique when cooking on the grill. 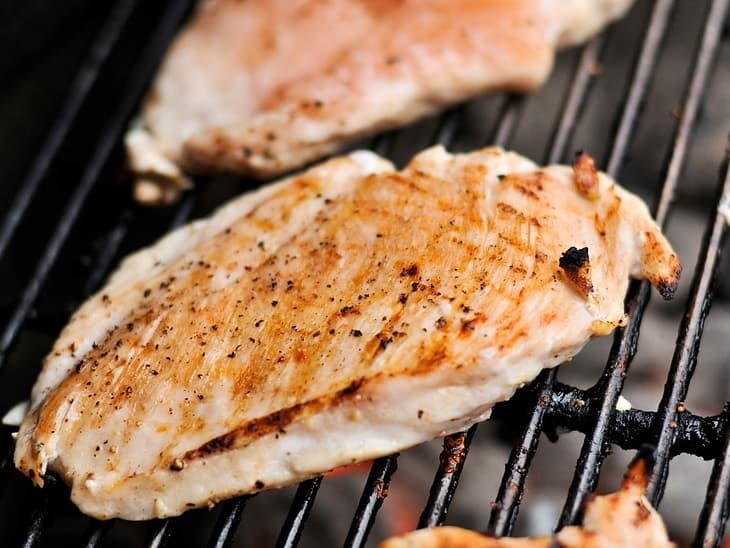 Grilled meats often look done within a few minutes, and this represents one of the easiest chances to mess up when cooking chicken. If your piece of chicken looks done on the outside, look at its size. If it does not appear to have gone down in size, there's a good chance that it's undercooked and you're cooking at a too high of a temperature, which can result in a dry outside and an undercooked inside. The meat should not shrink dramatically. If a piece of chicken is half the size it was at the start of the cooking process, it has almost certainly been overcooked. A well-done chicken will shrink about 10 to 25 percent in the size of the meat. If you'd like to give your chicken the ability to stand up to a slightly longer cook time, try brining it. A simple cold water bath of salt and Worcestershire sauce will do the job. Put the chicken in a bowl. Fill it with enough water cover the chicken. Add enough drops of Worcestershire sauce to discolor the water. Add salt at a ratio of ¼ cup of salt to every 4 cups of water. 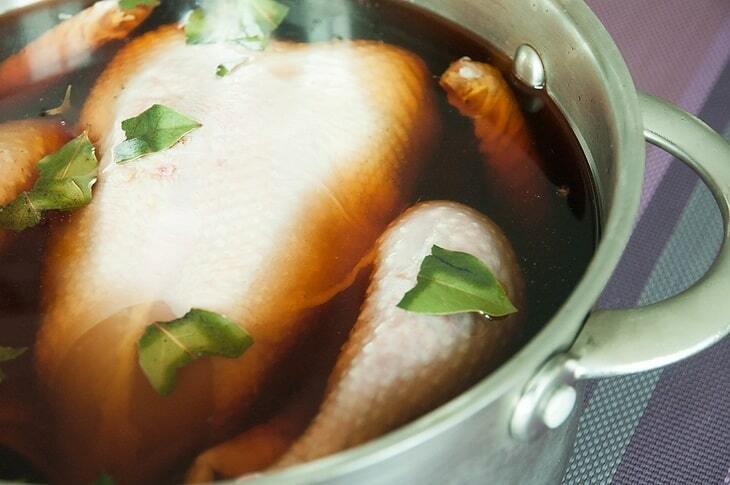 Let your chicken sit in the brine for 30 to 45 minutes. Remove it from the water and drain it before cooking. Do NOT brine chicken for longer than 2 hours as this will drain it of juices that impart flavor. Brining adds juiciness to your meat, and this extra juiciness allows you to cook your chicken for a longer period of time. With a bit of additional cooking time, you can ensure that your chicken reaches a full 160 degrees before you stop cooking it. As with all meats, be sure to allow your chicken a few minutes of rest time before you cut it. Chicken Latte? Sounds a bit strange, but why not? With the best latte machine, you can now enjoy a cool sip of chicken latte that is sure to captivate everyone's taste buds and budget. It doesn't contain coffee or milk – just a simple brothy goodness. It can be served with egg noodles, rice, or other food of your choice. Here's another mixture that will not only titillate your palate but will also reach all the way back and blow your gag reflex. The buffalo latte is mostly ideal for coffee enthusiasts who look for something not pumpkin-spiced. In a single drink, you'll get a freshly brewed espresso, mocha, steamed milk, and daring buffalo sauce flavour which is topped with a sprinkling zesty of buffalo seasoning and whipped topping. The buffalo sauce emits strange ingredients just like the Mexican hot chocolate particularly chilli peppers, butter, salt, and chocolate. However, the vinegar and Worcestershire could make a huge difference in the end. 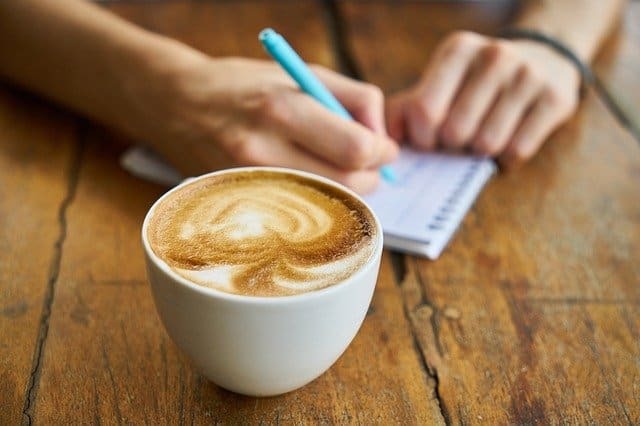 If chicken latte or buffalo latte is not really your cup of coffee or tea, you can try other espresso drinks like pumpkin spice, vanilla, caramel, and mocha. But if you're a coffee buff and adventure, then you might try this unique specialty drink you can share a hot cup with a family or friend. Such a great adventure to have with! Now, your morning routine would not be boring anymore – the chicken latte surely knows how to turn a day into an extraordinary one. Preparing one for yourself or for your guest is just easy, you simply need a chicken mixture and voila! Great for any special events or occasions, the chicken latte is such an excellent addition to any of your favourite meals. You can drop by at the nearest coffee shop or make a homemade chicken latte with the best latte machine out there. Undercooked chicken is every chef's nightmare scenario. It's obviously not your goal to give people food poisoning by undercooking or serve dry chicken by overcooking and excessive prodding. 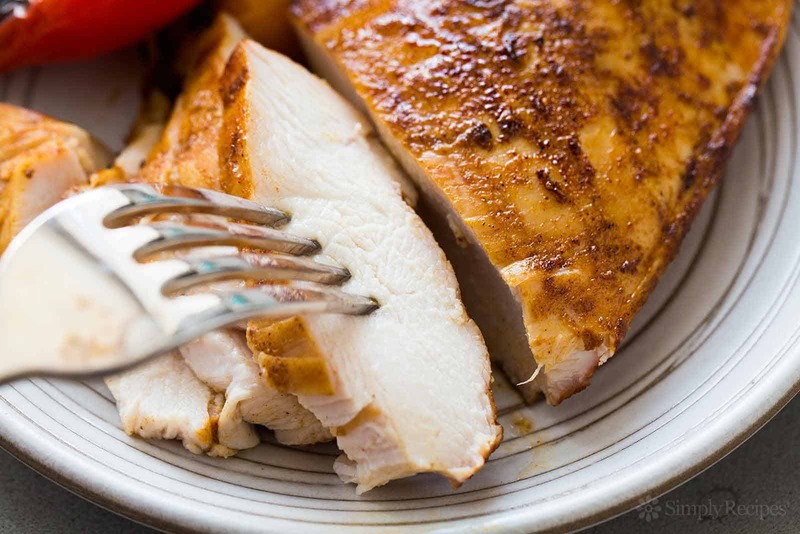 By follow the simple tips, you don't have to worry about under or over-cooked chicken again. Use a digital or analog meat thermometer to measure 160 to 165 degrees Fahrenheit. Making sure that your chicken is done is a simple task if you use the right method. Do you have any other questions? Ask about cooking tips in the comment section. If you find this post helpful, feel free to share it on your social medias.